The UK has refused to grant Julian Assange safe passage to a hospital for an MRI scan and diagnosis, WikiLeaks has said, adding that he has been in “severe pain” since June. Assange’s lawyer has accused the UK of violating his client’s basic rights. WikiLeaks said that the UK government refused to satisfy Assange’s request to visit a hospital unhindered after the Ecuadorian Embassy filed one on his behalf on September 30. An MRI was recommended by a doctor, Laura Wood, back in August, according to the statement read aloud at a press conference given by Ecuadorian Foreign Minister Ricardo Patino on Wednesday. “He [Julian Assange] has been suffering with a constant pain to the right shoulder region...[since June 2015]. There is no history of acute injury to the area. I examined him and all movements of his shoulder (abduction, internal rotation and external rotation) are limited due to pain. I am unable to elicit the exact cause of his symptoms without the benefit of further diagnostic tests, [including] MRI,” Patino read, citing a letter from the doctor. The UK’s Foreign and Commonwealth Office (FCO) issued a reply stating that Assange could not be guaranteed unhindered passage for a more thorough medical diagnosis on October 12. The Ecuadorian Embassy asked the UK authorities to offer a safe passage for a few hours for Assange into a London Hospital “under conditions agreed upon by UK and Ecuador,” Patino said, according to the WikiLeaks press release. “They can guard the car with 10,000 police officers if they wish,” the FM stressed, according to the press-release. US lawyer Carey Shenkman took it a step further, blaming the UK government for placing Assange under an impossible dilemma. “The UK and Sweden right now are clearly violating international law. The UK is effectively brshing off its international obligations. The UK is party to the Covenant on Civil and Political Rights and the European Convention on Human Rights, both of which grant the right to medical treatment.” Shenkman told RT. "There is also an internationally recognized right to asylum under the 1951 Refugee Convention. The UK and Sweden both recognize asylum in embassies - there is precedent for this," he added. Amid all that, the Foreign Office's attitude appears to Shenkman as a kind of taunt. They're saying that nothing is stopping Assange from leaving the embassy - but if he does, it would be up to the Metropolitan Police to decide what they wish to do. "Well, that's quite a dishonest way for the UK to ignore its international legal obligations... What they are doing in reality is making Assange choose between his asylum and getting medical treatment. No person should ever have to make that choice. And the UK is forcing him to make that choice." “The right to health contains both freedoms and entitlements,” The Economic and Social Council (ECOSOC) clarified. “The freedoms include the right to control one's health and body...and the right to be free from interference, such as the right to be free from torture, non-consensual medical treatment and experimentation,” the ECOSOC United Nations organ, which facilitates international cooperation on standards-making and problem-solving in economic and social issues said. Assange is wanted by Sweden over a series of sexual offense allegations. A European Arrest Warrant (EAW) was issued in Assange’s name in 2010 and, following legal challenges from the WikiLeaks founder, resulted in Britain’s Supreme Court upholding the warrant in May 2012. 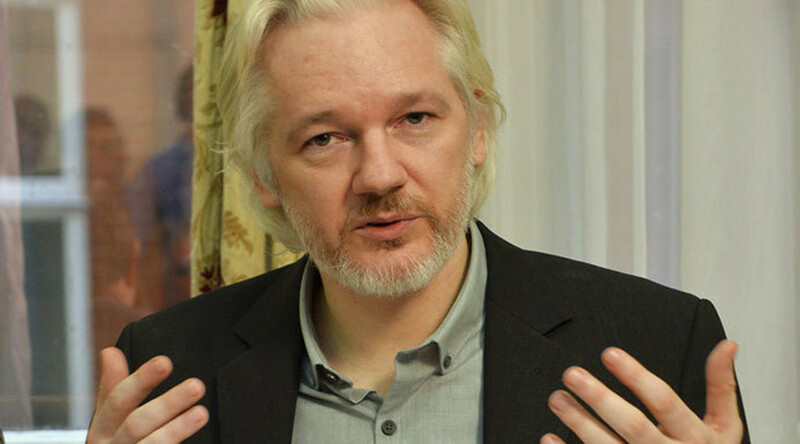 Assange was granted political asylum by Ecuador in 2012 and moved into its London embassy in order to avoid extradition to Sweden. The WikiLeaks editor believes he would be sent to the United States to face questioning over a number of explosive US government leaks including the 2010 ‘Cablegate’ publication of diplomatic cables.